THE ULTIMATE GUIDE FOR YOUR NEW MARRIAGE. Relatable info & activities for two. Choose the subscription plan that works for you - 1, 3, 6 or 12 months of boxes! 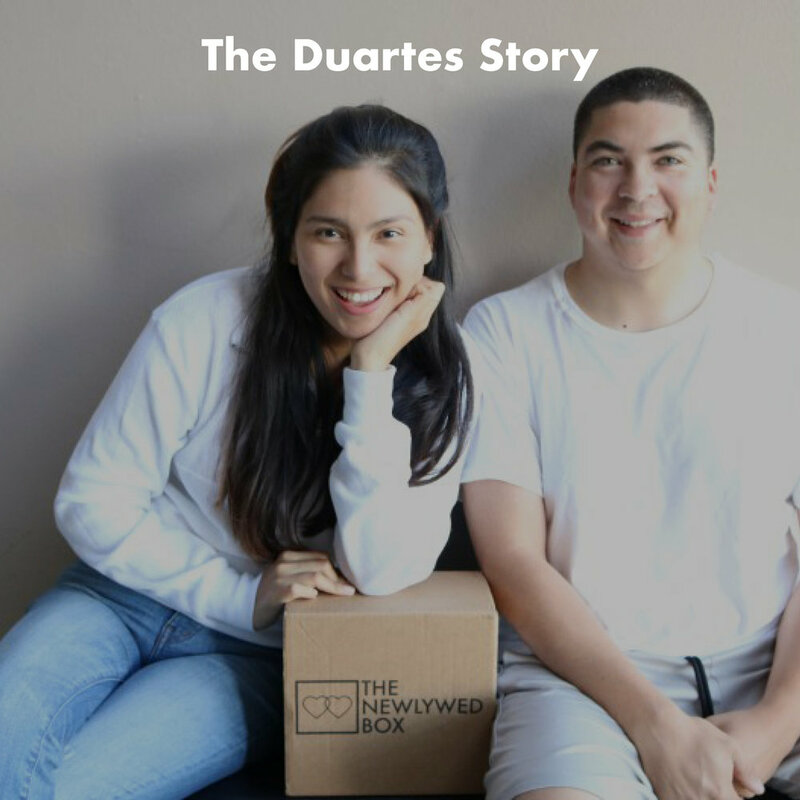 Each month, an experiential box created by marriage and family educators will deliver to your door. Inside, you’ll find research-based tools and activities you can use to enhance your relationship. 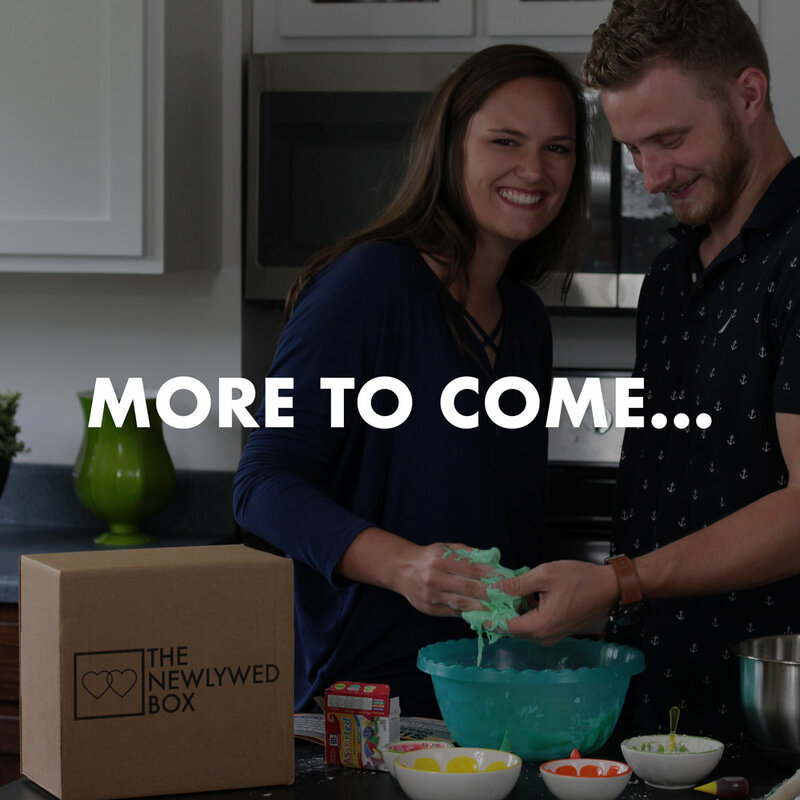 The NewlyWed Box is the first of its kind. Instead of a box filled with random products, you’ll open a guided experience with everything you need to create the healthy, happy marriage you want. Here’s a little taste of what’s inside! So, communication is hard, huh? Whether it’s remembering to grab something on the way home or truly understanding your spouse’s feelings, listening well and speaking clearly are more difficult than most of us would like to admit. This box will give you all the tools and activities to take your communication to the next level. 2 different activities (involving some paint & clay) that’ll guide you to get close & create something new through communicating. An easy-to-use guide for all of those hard conversations you’d rather not deal with. A drawing activity for two that requires open mouths, ears & imaginations. Succulents are great communicators. This activity will show you how. & 4 MORE BONUS TOOLS! Research shows couples who go on weekly dates are 80% more likely to feel satisfied in their marriage, but who has time for that? This box will give you ways to make the most of dates and give you all the details on how/why they matter in the first place. Everything you need to create your own date night, anywhere. An intimate journal for two. A couple activity that will take you down sweet memory lane night after night. The best way to stay on track with date night? Craft your own schedule, of course! Supplies to surprise your spouse with a playful date at home. & 3 MORE BONUS TOOLS! When it comes to understanding your spouse’s needs (and meeting them), it would be really helpful if you could just read their mind. Since that’s not a thing yet, this box will help you both identify your needs and share them with each other. Take a walk down memory lane together and see how needs are being met in your marriage with a “Map of Us” activity. Plants have needs. You both have needs. This activity will help you plant some seeds in your marriage and the ground. Loving your spouse well requires knowing how they best feel loved. This activity will help you figure it all out while meeting the needs of your 5 senses: touch, taste, sight, hearing and smell. Seeing and sharing your needs will be a breeze with these customized stickies to share with your spouse. Choose what's best for you: 1, 3, 6 or 12 NewlyWed Boxes! You’ll be charged on a monthly basis, and you can cancel at anytime. When your subscription ends, we'll stop sending boxes. But, you’ll get the option to add a few more months, if you want to. Follow us on Instagram, Facebook and Pinterest for everyday newlywed updates. Marriage is AWESOME. And full of unexpected surprises, awkward moments, and some really sweet memories.From random in-law visits to messy kitchens, forgetting to schedule date nights and learning how to not be a backseat driver, we've all been there. 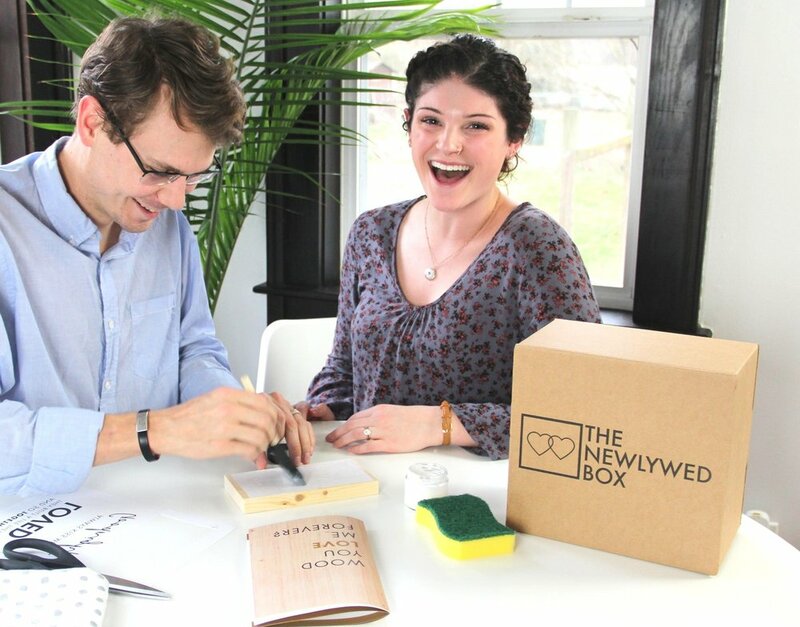 The NewlyWed Box will give you answers for those moments when you just don't know what to do.